Regular NPQ Newswire contributor Jeanne Allen reminded us to keep an eye on what’s happening to the state budget and various state programs in North Carolina, and boy, was that a good tip. It seems that Republican Governor Pat McCrory and his allies in the legislature are cutting a bevy of social and economic development programs. McCrory might be gutting various programs, but that doesn’t mean that businesses are losing their tax loopholes. Dan Kane writes that North Carolina has been exceptionally generous with tax incentives for businesses recently, though he emphasizes that the corporate tax breaks were generated by Republicans and Democrats alike. The latest proposal is an offer to MetLife of a $94 million subsidy if it relocates some of its operations to North Carolina. That’s roughly $35,000 a job. The interesting dynamic going on under McCrory is that his budget director is Art Pope, the founder—and for most of its history, the largest funder—of the John Locke Foundation, as well as a national board member of the Koch-affiliated Americans for Prosperity, although he separated from those and other conservative think tanks and political action groups when he accepted McCrory’s appointment. 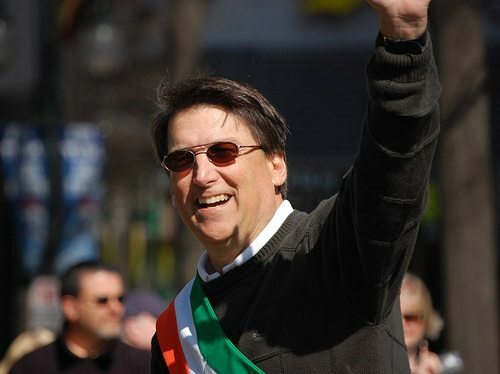 His position in the McCrory government gives an ideologically conservative theorist a hand on the lever of government to put his ideas into practice. In most places, ideologues carp from the outside, but conservative or liberal state executives will pick cabinet officers with a politically pragmatic streak, regardless of their leanings. Although a former legislator himself, the multi-millionaire Pope is a bit of an exception, having come into government from a very conservative think tank after having pushed an almost libertarian agenda, at least when it came to social programs and taxes, for many years.